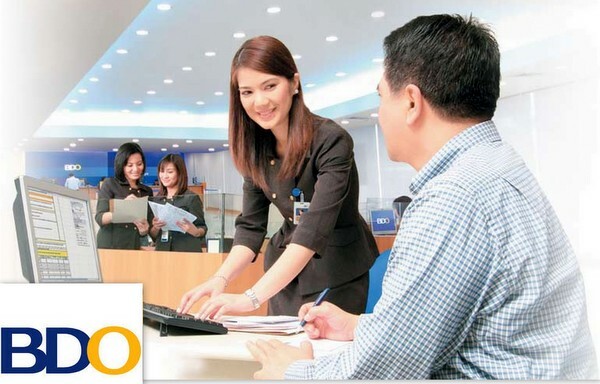 My asawa and I have had a peso savings account with BDO, Banco de Oro, for a couple of years. We established it when my ATM debit card from our bank in the United States expired. At the time we needed to open an account so my sister-in-law from Kuwait, Marjorie, an OFW, Overseas Filipino Worker, could easily send remittances to us. We care for her two children, Shaina and Sherwin. Here’s the story of how BDO screwed up our dollar account in the Philippines. With our upcoming purchase of a new truck and the beginning of construction for our new home on the island province of Guimaras, we needed to open a dollar account. Our plan was to deposit a check from our bank in the United States with BDO and wait for our check to clear. After the funds became available, we planned to take them to a legitimate money exchange service. I have read that mainstream banks usually do not give the best exchange rate. Other expats in the Philippines report online that checks with BDO or BPI, and other banking establishments in the archipelago, could take up to three weeks or longer to clear. While all the information I read from other expats said that the actual transfer of funds showed up the next day, the banks do not not allow any immediate withdrawal of funds. Why? Well, the banks do collect interest on the funds they are holding and the longer they hold your funds the more interest they collect. So my asawa and I went to the Banco de Oro branch at SM Delgado in Iloilo and spoke to an associate who began processing our request. But immediately there was a problem. While I had two sets of photo ID’s with me, my American passport and my ACR Card, Alien Certificate Registration, the bank employee refused to accept my wife’s second form of identification, her PhilHealth card. Why? Because her first name Maria Melinda was abbreviated as Ma. Melinda. And despite the fact that we already had an existing peso account in both of our names made no difference. I was ready to walk out but my much more patient spouse stopped me. The BDO clerk stated that we could open a BDO Kabayan Savings Account which would allow us to deposit funds in US Dollars. It did not, I discovered later, allow us to deposit our checks from our United States bank which was our original reason to open up a dollar account. We did not have any US dollars available to make our initial required $200 minimum deposit but a pawnshop dealer across the street came over to the bank and did the exchange for us at 45.15 pesos to the dollar, a fair rate at the time. But I thought I would be able to transfer funds from services such as US Forex or PayPal. After some online research, I decided against this. Now I could have had the account only set up in my name at the time but the fact that we cannot our deposit our checks from the US make this BDO Kabayan Savings Account useless. We will have to return to Iloilo and attempt to open up a dollar account with BDO again, even if it means having the account in my name only. We may go to the local PhilHealth office at Robinsons Place in Iloilo and see if they can issue us a new card with Maria Melinda on it to fulfill Banco de Oro’s asinine requirements. And this is how BDO screwed up our dollar account in the Philippines. Anyone one else care to share their experiences with BDO or any other banking institution in the Philippines? Perhaps your bank was able to make your funds available to you quicker. I would be willing to switch banks at this point as I am not very happy with Banco de Oro. BDO is hands down the worst bank in the Philippines! I will never ever ever ever bank with them. We had an account with them previously, the customer service was always horrible, their on-line banking is always broken, I could go on for days… I went in and said I needed to withdraw $1,000 USD from my BDO USD account, and they told me I had to give 10 days notice. That was the final straw. I told them I wanted all of my money immediately or I would go to the police. Surprise~! They had money on hand. I now bank with BPI. I’m about ready to close our account at BDO, Rease, and switch over to BPI. I’m not going to put up with any more of BDO’s nonsense. You are absolutely right Rease about BDO’s horrible customer service. I was going to open a time deposit account worth almost $10K, but nobody would like to assist me or even speak with me at the customer service counter even though there were some available staff, kind of unorganized system. I got impatient waiting/sitting for 30 minutes, so I just walk out and went to BPI bank instead, and was surprised at BPI’s excellent customer service. You have more patience than me, Joe. I wouldn’t have waited that long even though I’ve been in the Philippines over five years now. Customer service seems to be a foreign concept at some businesses here. The best customer service that my asawa and I receive on a regular basis is at the SM Department Store in Iloilo City. Always friendly and helpful staff. We recently went to several car dealers in Iloilo and were given call backs from Chevy and Isuzu but didn’t hear a peep from Toyota. Imagine that happening from a car dealer in the States. We also regularly use our Wells Fargo US checks at BPI with no worries. They typically clear in less than 2 weeks and there is no charge. I have also taken US Treasury checks from US Tax rebates and deposited them directly to BPI with no issues…. We don’t have a Wells Fargo account, Rease, and even if it takes a few weeks for our checks to clear with BPI, I don’t mind it as long as we cant withdraw our money without any hassle. It always seems like there are problems in Paradise ! I really miss everyone there and miss Paradise more than you know. It gets really fustrating when trying to deal with the banks here. You have to jump through so many hoops. We’re going to be opening a dollar account at BPI soon too and use a check from my US Bank Account. Is it $200.00 to open a dollar account at BPI too. Some US and other foreign banks are looking to open branches here in the Philippines since they changed the law where they can have full ownership of there branches here. One of the Banks is Bank of America which is mine. It would be great if they open a branch here. It was in the news about 5 months ago, but haven’t heard anything else since. Hopefully in 2015. BPI website states it costs 500 US Dollars to open a dollar account here, Papa Duck. Hopefully, your bank, Bank of America, will open here, but the amount of paperwork to open an account in the Philippines does not make it user friendly for the average expat. I have a BDO Kabayan Savings account which I transfer my NZD into using orbitremit. I really have had no problems. Sometimes the website is down and sometimes their ATMs run out of money (especially on long weekends) but overall the service I have received is adequate. I am back in NZ at the moment, my Dad has about a week to live, liver cancer. Email me if there is anything you would like me to bring back. Murray, so sorry to hear about your Father. My own Mom died of ovarian cancer eight years ago this week. Melinda sends her regards, also. Very sad to hear. I have been using XOOM for a couple of years now and they are OK to send smaller amounts of money. An Aussie friend of mine told me that he uses orbitremit but when I checked out their website, it did not look like I could transfer US Dollars. I will have to check that out again. Lolo is in Stage 6 of his dementia. We still have a good supply of his meds but I could use some help for my kidney stone medications. I will email you shortly. Thanks so much, Murray. You’ll have to visit us when the new house is built. I don’t think they would look at an old guy like me. I have had the assistance of BDO tellers for our XOOM transfers in the past, and one of the regular employees there, Pie, has always provided excellent customer service. Pie and her boyfriend have been dating almost four years now and every time I go there I ask her if her BF has proposed yet. “Not yet, sir” is always the reply. “What’s wrong with him?” I always ask her teasingly. I had read what expats wrote on other websites about there some of the problems they have there with banking, and it really sounds frustrating to me. Some have wrote that they are told a specific thing at one branch and then they go to another branch of the same bank, and it a whole different set of rules. When you start transferring larger amounts Dave, will you just do a wire transfer directly from one bank to another or is there some other way you know of? I have been told figures ranging from $65 to $30 from the banks I use here, the cheapest was my credit union, so before I move I will deposit all money there I think, since they are set up for online banking and was told by a rep there that they had customers living in the Phil also. Have you ever transferred money from a US bank to a Phil bank in pesos, I have read the rates are not good, but didnt have any idea how bad not good is. Xoom takes slightly over 1p per dollar but was wandering it that was better or worse than a dollor to peso account in a bank there when transferred from a bank here. I’m not surprised, Bill S, that people are get conflicting information even from the same bank, but different branch. It sounds like Immigration. Someone will tell you one thing and a different person will tell you something completely different. We have only dealt with BDO thus far. My bank in the States will not do a direct wire transfer. I called about that last year and they do not have that service for international accounts. 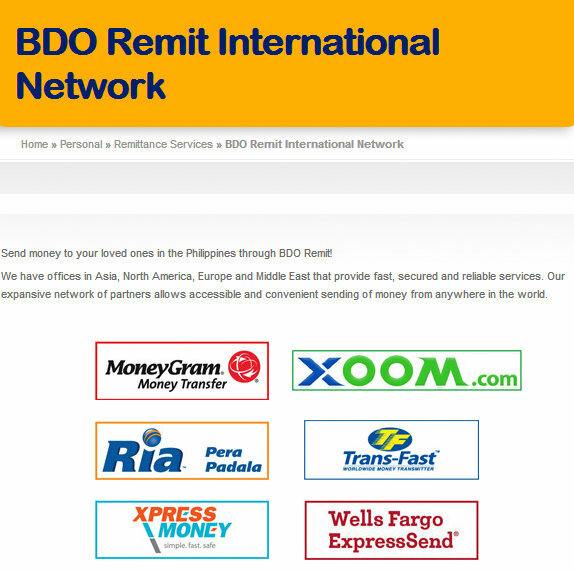 That said, I have, since I posted this article, successfully transferred some funds directly to our BDO peso account using a remittance service Xoom. With the increased strength of the dollars versus the Peso, I wasn’t hit too hard with the exchange rate I got from Xoom. The transfers went through immediately. I personally would not transfer all of my money from my US bank to a Philippine bank since the Philippine banks will only insure you up to p500,000 PER DEPOSITOR. We will be going to BDO tomorrow and close our dollar account and open up a dollar account with BPI. We will then deposit a check from our bank in the States and wait for that check to clear. To my knowledge, this looks like the cheapest way to transfer funds between banks. Dave I feel your pain,we set up a account with bdo in Angeles as they have a branch in Samar to use when we are there visiting family. Wayne, thanks for the info. You are reaffirming my decision to close our BDO account and open up a dollar account with BPI. My biggest headache with any bank in the Philippines occurred years ago before we moved here. I had taken American Express traveler’s checks on a visit to my wife. It took TWO HOURS and a promise to sign over our firstborn to get those things cashed. Never again. It just doesn’t make sense why you can’t go into any branch of the same bank and withdraw money w/o a hassle. I don’t see how you can run a sucessful bank like that. I guess Filipinos are so used to bad customer service that they don’t care. I guess things won’t change until lots of people start complaining. That’s the problem, Papa Duck, at least from my Western way of thinking, Filipinos are not that prone to complain. The majority of them that I know just accept the way things are. I, personally, cannot tolerate poor customer service where ever I am, and am not afraid to express my displeasure when I encounter it. I cannot recall how many times I have embarrassed Melinda since we retired here over five years ago but I can assure you it has been numerous occasions.